A quick responses from firemen in Port Moresby has prevented Central Waigani Stop and Shop building from fire around 1pm today. The fire was caused after efforts by workmen to cut and remove burnt metals of the previously burnt shop caught fire from sparks of the wielding machine used. Report from a security guard who was an eyewitnesses to the incident stated that the construction that was working to remove burnt scraps from the partly burnt down shop used a wielding machines to cut the metal scraps when sparks from the machine ignited a fire that quickly spread over the scraps however quick response from the Boroko Fire Service Crew managed to saved the day. 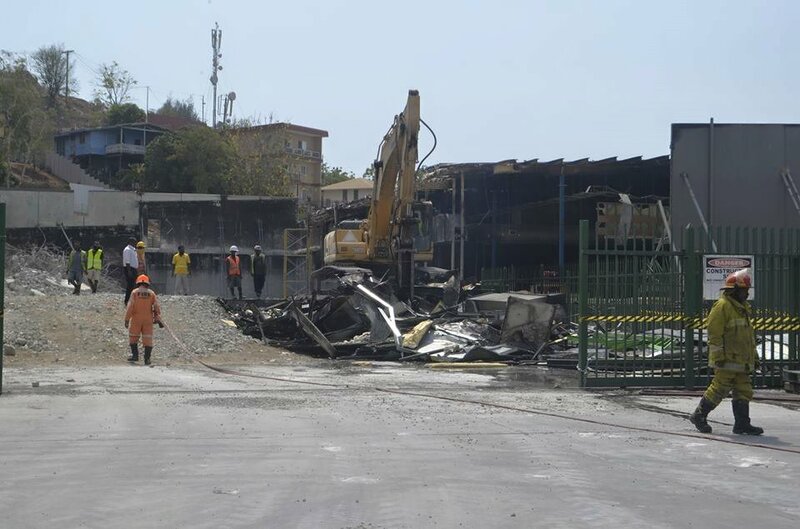 Boroko Fire Service Superintendant Leo Ovia said they were in time to contain and kill the fire before there was any further damage to the property.